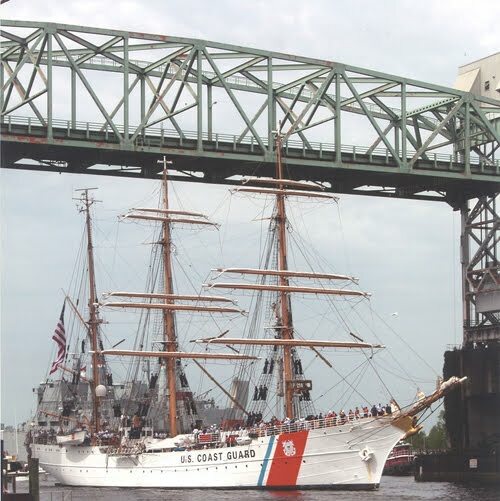 During the weekend visit of the USCG tall ship Eagle to Wilmington, NC there will be tours available of both the USCG tall ship Eagle and of the USCG Cutter Diligence. The free tickets to tour the Eagle will be given out in half hour blocks so arrive early and then visit our local shops and area attractions while waiting for your tour to begin. Tours will be available on the Eagle Friday from 3 p.m. until 7 p.m. ; Saturday 9 a.m. until 7 p.m.; and Sunday 9 a.m. until noon . 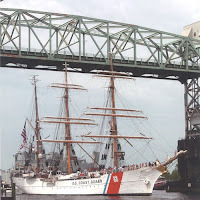 The USCG Cutter Diligence will also conduct tours during that time and no tickets will be needed. This entry was posted in wilmington attractions by Doug Erickson. Bookmark the permalink.